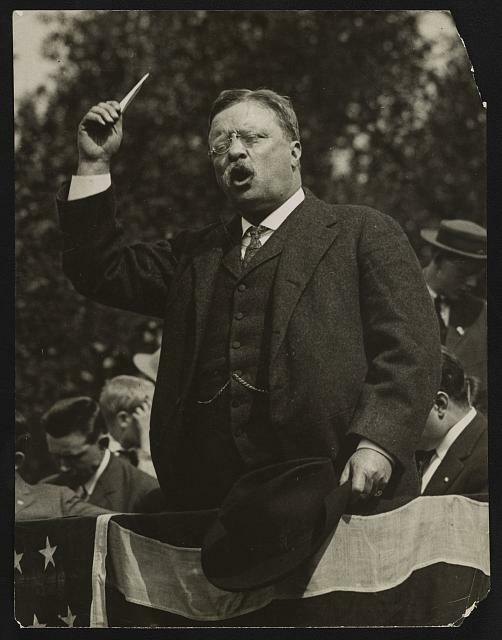 Theodore Roosevelt speaking from flag-draped platform. Ca. 1900-ca.1919. Library of Congress Prints and Photographs Division.